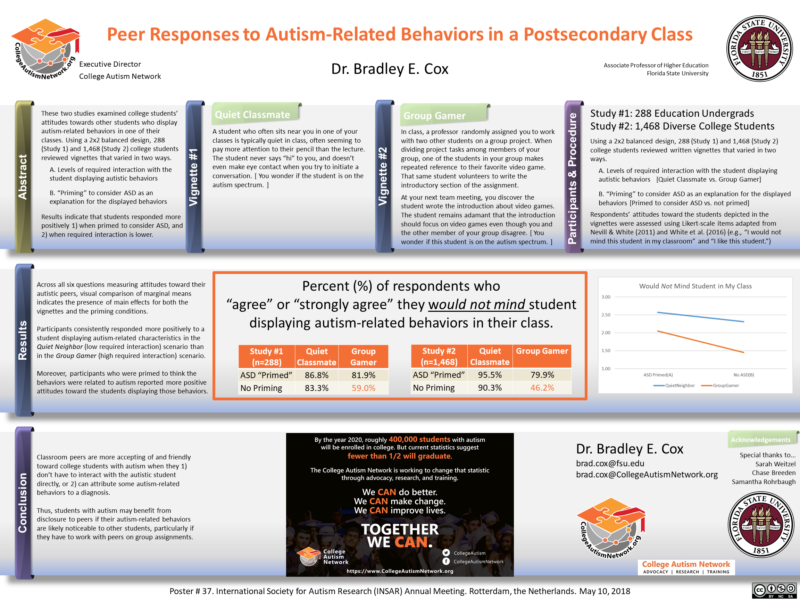 These two studies examined college students’ attitudes towards other students who display autism-related behaviors in one of their classes. Using a 2x2 balanced design, 288 (Study 1) and 1,468 (Study 2) college students reviewed vignettes that varied in two ways. Results indicate that students responded more positively 1) when primed to consider ASD, and 2) when required interaction is lower. At the de Doelen ICC Rotterdam, in the Hall Grote Zaal. 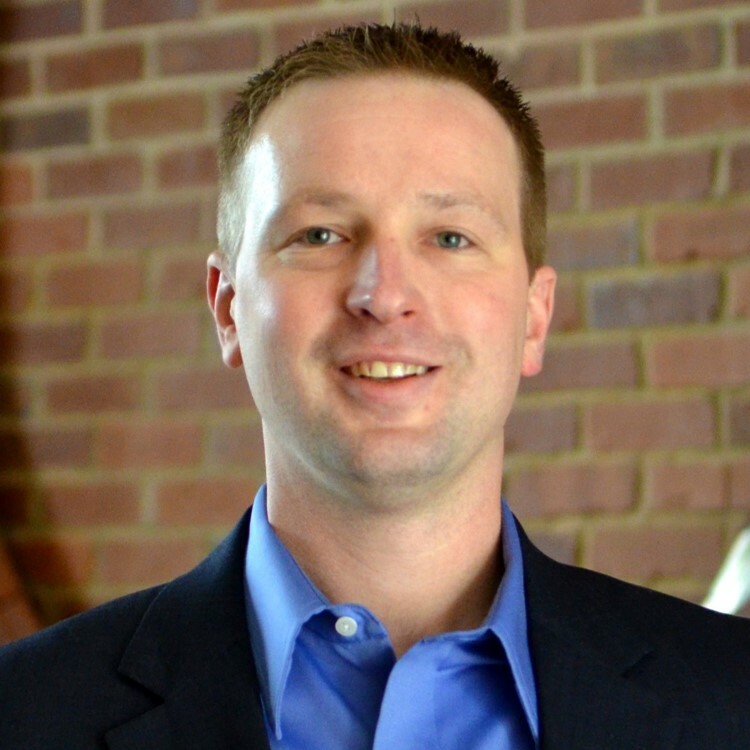 Dr. Bradley E. Cox is the Founder and Executive Director of the College Autism Network. He is also an Associate Professor of Higher Education at Florida State University and a Senior Research Associate at FSU's Center for Postsecondary Success. His work seeks to explain and improve the systemic, institutional, and personal conditions that shape college experiences and outcomes for students on the autism spectrum.